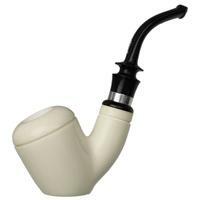 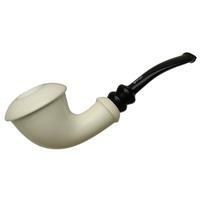 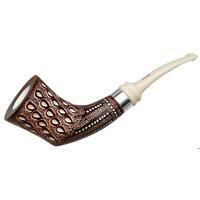 This bent Apple from IMP is well-rounded of form and mostly dressed in a crisp rustication with only its rim and shank end being left smooth. 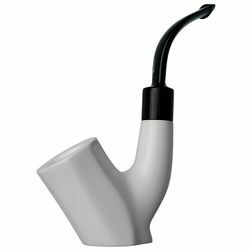 It comes with a pair of stems — one long and lean, in jet-black acrylic, making for a crisp Churchwarden configuration. 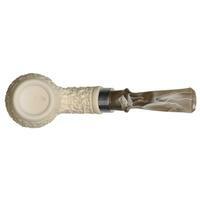 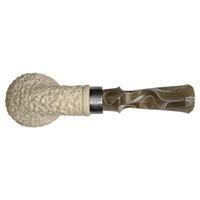 The other is a taupe colored standard-length bent saddle stem that makes for an easy jaw-hanger. 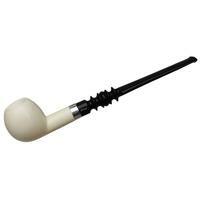 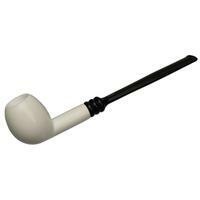 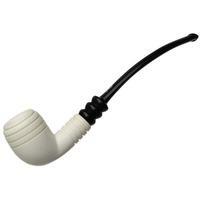 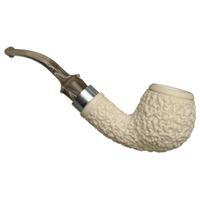 It's a piece that is sure to darken with time and enjoyment — an easy feat given its comfort-pipe appeal. 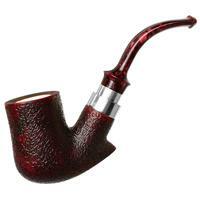 Bowl Height: 1.74 in./44.20 mm. 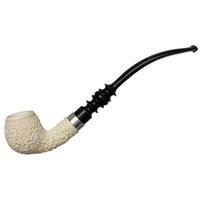 Chamber Depth: 1.51 in./38.35 mm. 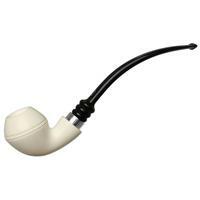 Outside Diameter: 1.59 in./40.39 mm.